Craig Wood’s excellence as a player is virtually unparalleled by any other golfer in New Jersey history. Highlighted by his spectacular 1941 season when he won The Masters and U.S. Open, Wood was a 21-time PGA Tour champion – locally winning the 1934 NJSGA Open and the 1928, 1930, 1932, and 1938 New Jersey PGA Championships. Wood also played on three Ryder Cup teams, won the Metropolitan Open Championship (1940) and Metropolitan PGA Championship (1942). On May 1, Wood will be one of nine inductees to enter the New Jersey State Golf Association Hall of Fame. Known as the “Blond Bomber” for his prodigious length off the tee, Wood was well-known long before his 1941 campaign; as a sympathetic figure who had endured more heartbreak than any golfer should ever know. It was Wood who was victimized by the “shot heard round the world” – Gene Sarazen’s incredible double eagle in the 1935 Masters – that snatched victory from Wood’s clutches. In addition, Wood lost in a 36-hole playoff in the only British Open he ever entered, lost a PGA Championship in extra holes, and lost a U.S. Open in a double playoff – becoming the first man to lose all four majors in playoffs. Craig Wood was born in Lake Placid, N.Y. in 1901, the son of a timber foreman. Wood developed his muscular physique from swinging an axe as a youngster while working with his father, and his introduction to golf came from caddieing at Ruisseaumont Hotel Golf Course – and other local courses – beginning at age 12. He spent summer weekends caddieing in the area, learning the technical and social aspects of the game. Wood was also heavily influenced by another famous caddie – Francis Ouimet – who won the 1913 U.S. Open at Brookline. Ouimet’s astonishing achievement at Brookline was a formative event in Wood’s early career as it motivated a rapid improvement to his own game. Later in his teenage years, Craig and his brother, Scott, built a golf course on a piece of local farmland where they spent countless hours. His desire to equal Ouimet’s achievement, and his tireless work ethic, started Wood on a career path that would eventually land him in New Jersey. After high school, Wood attended prep school in Massachusetts, and then enrolled at Clarkson College in New York. Due to the extended winter season in northern New York, Wood realized the need to relocate to a warmer location – and he enrolled at Rider College in Lawrenceville, New Jersey. After graduating from Rider, Wood moved to Kentucky where he took his first professional job at a nine-hole golf course. At age 24, he won his first professional event – the 1925 Kentucky Open. Wood moved back to New Jersey in 1926 when he was named the Head Professional at the exclusive Norwood Country Club in West Long Branch (which later closed during the Great Depression). He moved on to Forest Hill Field Club in Bloomfield in 1927, where he remained for three years. Wood continued his New Jersey career with stints at Hollywood Golf Club in Deal (1932-34), Crestmont Country Club in West Orange (1936), and Rumson Country Club (1937-38). He represented New York’s Winged Foot Golf Club in his magical year of 1941. During Wood’s tenure as a club professional in New Jersey, his ascension on the national stage was remarkable. In November, 1929, he made the long trek by train and ship to Honolulu and won the 1929 Open Championship of Hawaii. Along the way, he also found time to win the Oklahoma City Open. In the winter of 1932-33, Wood competed in three winter events, and won them all – the San Francisco Open, Pasadena Open and Los Angeles Open. In 1933, Wood played in his only British Open, at St. Andrews in Scotland. He earned his way into the field through a 36-hole qualifier, then went on to shoot 77-72-68-75-292, to tie American Denny Shute. On the first hole of the 36-hole playoff, Wood put his second shot into the Swilcan Burn. He decided to remove his shoes and socks and play it from there, eventually making a six. When Wood dropped two more strokes on the second hole, Shute was well on his way to a five-stroke triumph. The following spring, Wood was among the contestants in the inaugural Augusta Invitational – later known as “The Masters” – where he shot 71-74-69-71-285 and lost by one stroke to Horton Smith. Later in 1934, at the PGA Championship at the Park Country Club in Buffalo, Wood found himself in a 36-hole match-play final against Paul Runyan, whom he had earlier hired, in 1930, to be his assistant professional at Forest Hill. The match lasted until the 38th hole when Runyan’s accuracy and putter won him the championship. “Wood had the coolest demeanor of anybody I’ve ever seen. He was a great friend and mentor,” Runyan said. The following year, 1935, Wood bettered his Masters score to 69-72-68-73-282, playing the final eight holes in four-under par. While Wood waited in the clubhouse for the tournament to finish, Gene Sarazen was working on a miracle. Wood’s last trial by fire came in the 1939 U.S. Open at the Philadelphia Country Club in Gladwyne, Pennsylvania. Wood birdied the 72nd hole to get into a three-way playoff with his former nemesis, Denny Shute, and NJSGA Hall of Famer Byron Nelson. In the 18-hole playoff on Sunday, Nelson and Wood each carded a one-under-par 68, eliminating Shute (76). In the second 18-hole playoff on Monday morning, Nelson took control at the third hole with a birdie, while Wood double-bogeyed. On the fourth hole, Nelson holed out for an eagle – extending his lead to five-strokes. Nelson’s lead would not be threatened, as he took a five-stroke lead and never looked back, finishing with a 70 to Wood's 73. Wood’s greatest win within New Jersey’s borders came in the Metropolitan Open in 1940 when he returned to Forest Hill and shot 264, 20-under par, to beat legendary Ben Hogan by eleven strokes – avenging his 1936 Met Open runner-up finish to Byron Nelson. The 1940 finish in the Met Open set the stage for Wood’s most famous year, 1941, when he won two major championships. Overcoming the ‘jinx’ in magnificent fashion, Wood won the eighth Masters Tournament in April, becoming its first wire-to-wire champion with rounds of 66-71-71-72-280 for a three-shot victory over runner-up Nelson. 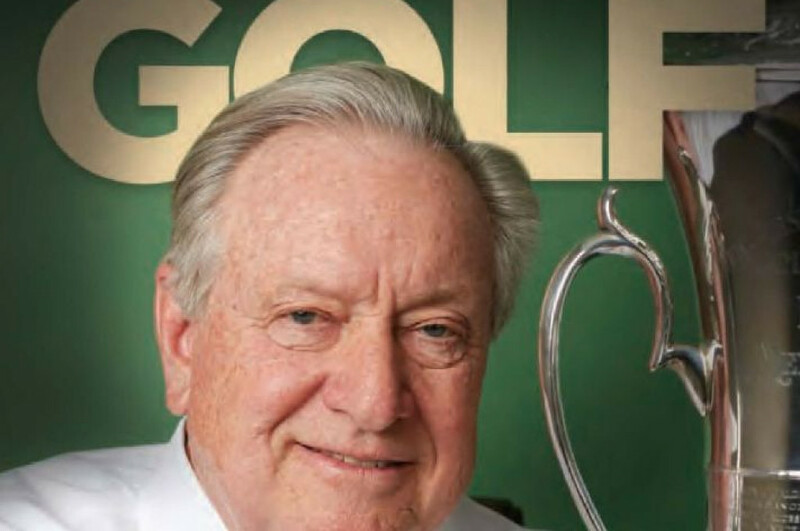 In reference to Wood’s final round at Augusta that year: “No tournament gallery ever pulled harder than that gallery did for him, as did golfing fans throughout the world,” said noted golf writer Herbert Warren Wind. Two months later, Wood followed by winning the 45th U.S. Open at Colonial Country Club in Fort Worth, Texas. The win did not come easily; two weeks prior to the championship, Wood injured his back which forced him play the Open wearing a brace. He shot 73-71 heading into the final day, when 36-holes were to be played. Despite temperatures in the 90s, Wood came through with rounds of 70-70, including a birdie on the final hole, for a 284 total to hold off longtime nemesis Denny Shute by three strokes, and Johnny Bulla and hometown favorite Ben Hogan by five strokes. At age 39, he was the oldest American to win the Open – and the first to win the Masters and Open in the same year. In later years, he worked as a sales executive for various companies and was a car dealer in New Jersey and Westchester County (N.Y.), before relocating to the Bahamas to establish the Lucayan Golf Club in Grand Bahama Island in 1963. He was named head professional, and also established the course record of 66. The “Blond Bomber” lived in the Bahamas until his death age 66 in 1968. The accolades for one of the best to grace the courses of the Garden State are many; in 1954, the Lake Placid Golf & Country Club was renamed the Craig Wood Golf Club in his honor. Two years later, in 1956, Wood was inducted into the PGA of America Hall of Fame. At the time he was only the 16th golfer to be so honored. In 2008, Wood was posthumously inducted into the World Golf Hall of Fame.